This is the home page for an international network engaged in research around the transition from childhood to adulthood. For some children the journey into adulthood is nice and smooth. For others it seems like hitting a brick wall. What can be done to facilitate their journey? The research network aim to meet once every second year for a conference. We collaborate in different groups in between. Please use the menus above to navigate to a description of the research focus, participating members and information about conferences. 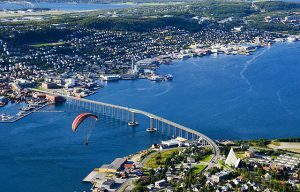 The 2019 Conference will be held in Tromsø Norway 17th to 19th of June 2019 (with a get together event on the evening of the 16th of June). Please click on the menu items on top for more information. Please also have a look at our Facebook site.